^Hln a summer mountainous environment and given the necessary equipment, conduct belaying techniques for party climbing, in accordance with the references. ^HWithout the aid of references, describe in writing the methods of belays, in accordance with the references. ^HWithout the aid of references, describe in writing the types of belays, in accordance with the references. 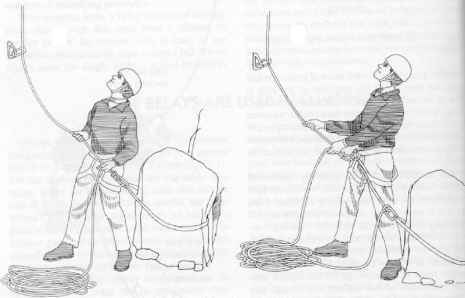 ^HWithout the aid of references, describe in writing the minimum amount of natural anchors required to create a belay anchor, in accordance with references. ^Without the aid of references, describe in writing the minimum amount of artificial protection required to create a belay anchor, in accordance with the references. ^In a summer mountainous environment, establish a climbing anchor using natural anchor points, in accordance with the references.